Breastfeeding may be natural, but I will be the first to step up and tell you it doesn’t always come naturally. Both of my babies had latching issues and getting them into the right position was key for me. I registered for a very common brand of nursing pillow, but as I have learned now many times just because a brand is the most popular doesn’t mean it is the best. With my first nursing pillow I had to add blankets underneath baby’s head just to get him up to the right level on me. I have a long torso and the flat “U” shape wasn’t working for me. As a result I have gone on to buy and try every single breastfeeding pillow on the market – some better than others, but none I’m head over heals for. Until now. When I first received the Gia Angled Breastfeeding Pillow from Dr. Browns to review I noticed right away how smartly it was designed. 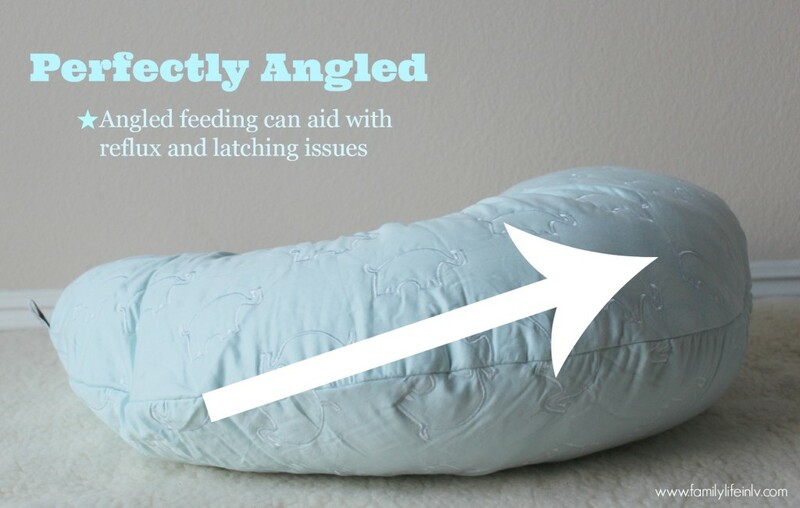 It really is perfectly angled to not only help get baby to a good latching position, it is much bigger than other pillows I’ve tried. (Nothing worse than baby trying to roll off the pillow while you are sleepily nursing in the middle of the night!) I was happy to see that Dr Browns actually worked with a lactation consultant to design something breastfeeding moms would want and love. What sets the Gia Angled Pillow apart from other nursing pillows? I received the neutral pillow to review and my first thought was how soft it was even without a cover. I also got the elephant cover to go over it, and I loved how easy it was to get it on – I have struggled with other covers in the past, this one went on with minimal effort. I immediately liked the different shape of the pillow. I could see how easily it would help accommodate a growing infant. With my first pillow I found baby hanging off the edge while I was still needing it. I also loved the angling of the pillow. It is the perfect height to not only help baby get a better latch, but the angle would be great for reflux or gassy babies. I am still breastfeeding baby D at almost 14 months old and at night I will occasionally reach for the pillow when I am sleepy and wanting to get baby a good latch. Prior to using it he rarely fell asleep nursing, twice at night he has fallen asleep using the pillow. We also use the pillow for letting him feed himself his bottle. (He get’s 2 bottles of breastmilk during the day as well as his amino acid formula that we are using due to his FPIES. As a result of introducing the bottle he rarely nurses during the day, as he is too easily distracted. I love knowing he is comfortable on the pillow with his bottle and I pump a few feet away from him. 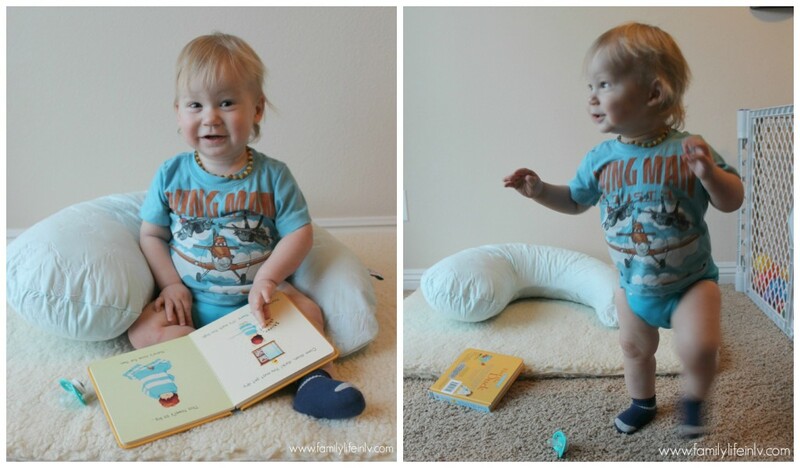 Recently(2-3 times now) he has even taken to crawling over to the pillow with books. He’s so cute when he does that, and I like that we can continue to use the pillow beyond just breastfeeding. Of course then he’s off to discover his newly found skill of walking!! I’m not the only one who loved the Gia Angled Breastfeeding Pillow either! I had a friend and her newborn come visit this past week and I let her try out the pillow while she was here. She loved it and said she was headed how to order one of her own! You can buy the Dr. Browns Gia Angled Breastfeeding Pillow for $29.99 + $9.99 for the covers (available in pink and blue). Disclosure: I received a media sample of this product to facilitate my review. As always all thoughts and opinions are my own. 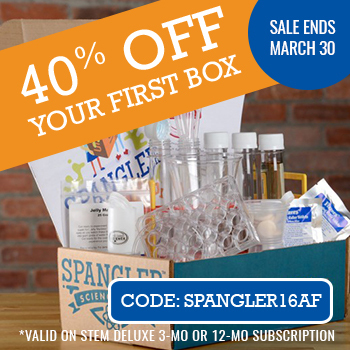 Affiliate links may be included. These type of pillows come in handy. Even after breastfeeding. WOW, I have used nursing pillows in the past but I have never seen one that looks like this before. I like how it is larger on the one end to lift up the baby’s head in to the correct position. The shape of this looks really cool. I had a pillow when I nursed my son and it was way too big for my body, but this looks like it would be a good fit for my next baby. 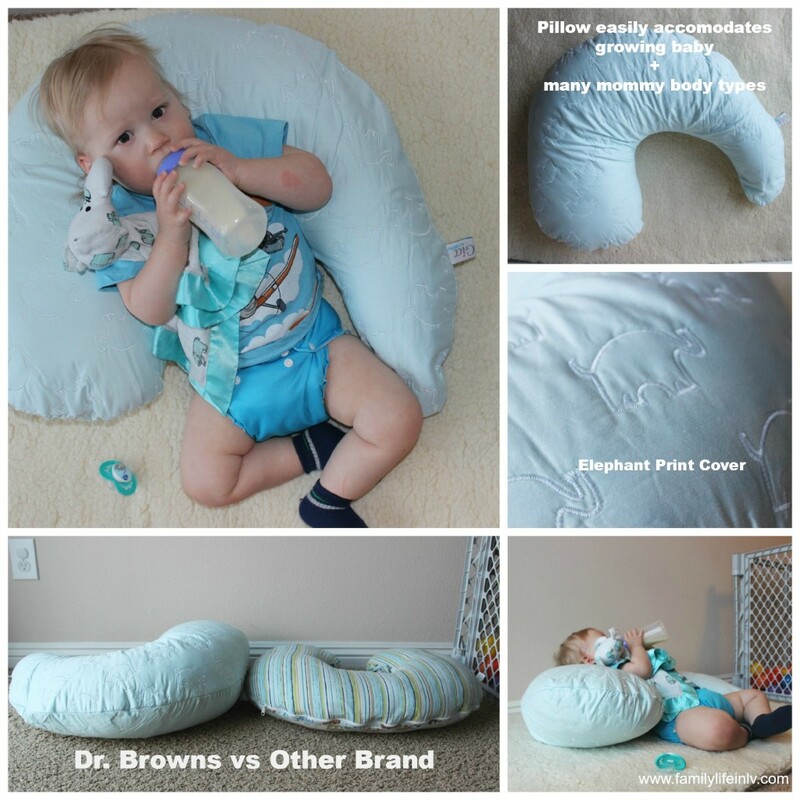 The Gia Angled breastfeeding Pillow by Dr Browns looks great! This looks like it makes breastfeeding much easier and more comfortable. Wish they were around when I was doing it!!! This looks amazing! I had the same problems with the other brands not being tall enough and this looks great. Gia Angled Breastfeeding Pillow is indeed a great choice for moms to breastfeed their babies. In fact my wife considered this pillow for breastfeeding purpose and it’s effective for comfortable breastfeeding. Thanks. I have breastfed all my kids for a long time too and all the nursing pillows i also had to add blankets and stuff or lift my knee higher to be more angled and to reach my breast! this is great! 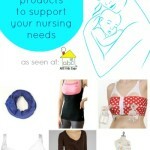 love that it was designed by a lactation specialist and this would be great for my new baby! 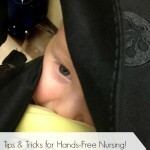 I have never really used a breast feeding pillow because it never felt right-using the boot. I generally used it for baby to relax in:)….but this pillow looks awesome. I had some major latch issues with baby number two for the first month because we couldn’t get the angle right. The latch issues lead to a nasty infection and lots of frustration. I never even thought to try a different pillow. I love that it is machine washable and does not loose its shape! What a genius idea to have it angled and fuller in one section, great for breastfeeding! 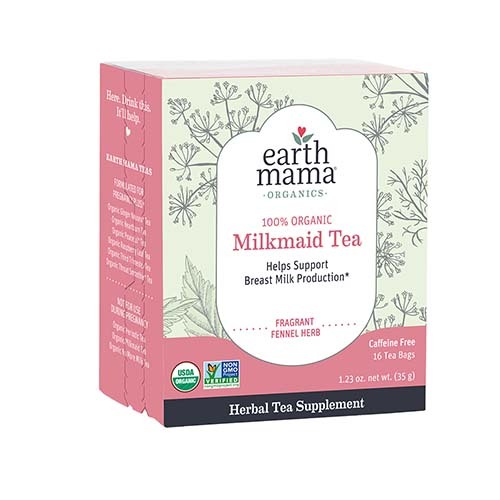 had to have been a lactation consultant to come up with that for us mommies! Love that you can use it for other things too! I am so curious to try this out! Congrats Andra! You are my winner for this pillow! Check your emails for more details! I hadn’t heard of this pillow but I am intrigued! The only bottle DS will take are Dr. Brown’s so I trust the brand! I hadn’t really thought about getting a pillow like this before, but it looks like it would come in handy! 1. great prints and 2. the angle is such a great idea! you end up propping your baby up more on one side for comfort anyway! i love that it does the work for you! i never had a nursing pillow with my son, but id like to try this one for sure! I tried 2 popular brands of nursing pillows when my daughter was born and didn’t love, or even really like either of them. Since she was our first, I didn’t really know what to look for when registering for a nursing pillow. Now that I have breastfeeding experience I can see that this pillow would be an amazing aide in breastfeeding. I am definitely going to try this pillow with baby #2!